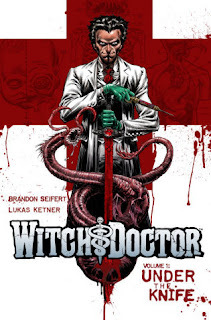 Witch Doctor writer and Comics Experience Creators Workshop member Brandon Seifert stopped by the Creators Workshop recently, to talk about establishing a career in comics. Witch Doctor was the first title published by Robert Kirkman's Skybound Entertainment, an imprint of Image Comics, and was a breakout hit for Seifert and artist Lukas Ketner. 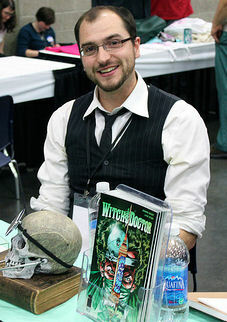 During the workshop, Seifert offered a variety of advice on scriptwriting, ranging from how he handles revisions, to the massive research required for Witch Doctor. When asked about his writing process, Seifert said he doesn't have a rigid workflow. "The thing that works best for me is the thing that works best for me, and that varies depending on the day and the mood and the scene," he said. Seifert noted that he used to be much stricter about outlining, and would not start until he had a full beat-sheet completed. Now, he said, he focuses largely on the page turns, and works around them. "Even if I don't know a lot of what's going to go on in the story, I'll know the page-turn reveals, so I'll just start with those," he said. "Writing that kind of informs what happens afterwards, and informs what happens before it. And in the process of writing that, I tend to get ideas for other parts of the script." Like many writers, Seifert acknowledged that in the past, finding the time and commitment to write was a problem for him. However, he said, as new projects rolled in and his writing schedule became busier, he had to make a change. The key, he said, was to simply commit to putting in the time and effort. "So I was like, I'm just going to sit down and do this as quickly as I can," Seifert said. "And it turned out that as quickly as I can was much quicker than I thought I could. "I didn't let myself distract myself too much. I worked on it every day, and I put the hours in. For me, that was the key. You need to be writing every day if you're going to be a writer." Seifert said his process usually consists of writing one draft, and one round of revisions. But, he said, he tends to revise heavily as he works on his first draft, to minimize rewrites on the back end. "I've found that I honestly really don't like editing my work once it's done," he said. "Especially if I have some distance from it. I mean, how do you go back and work on it again and rewrite it once the initial enthusiasm is gone? It's just better to revise it on the fly and get it where I want it initially, then you have to make the minimum changes later on." Witch Doctor combines true-world biology with mythical monsters. But rather than researching only what he needed for each script, Seifert spent hundreds of hours in research, building his world a piece at a time. "It was a lot of thinking about monsters, and thinking about werewolves and zombies and Cthulhu and all of this stuff," Seifert said. "And then doing research into biology and medicine and figuring out, where do these things dovetail? That's always been my approach to that. If I want to do a Witch Doctor story, I read about some monster or I read about some medical thing, and I look for the parallels." As a result, "at this point, I don't do too much research, only because I've spent so many hundreds hours of research in the last few years," Seifert said. "It's very rare for me to hear about some parasite that has some really fascinating lifecycle that I haven't already heard about." When he does do research, Seifert said, it mainly acts as a refresher course. The first Witch Doctor mini-series is currently available in trade paperback form. His upcoming projects include BOOM! 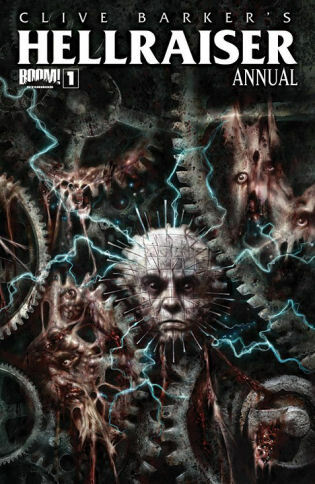 Studios' Hellraiser: The Road Below, with art by Ibriam Roberson, and Dreamsequencer, with art by Michael Montenat, for MonkeyBrain Comics. Comics Experience Creators Workshop sessions take place every month, giving members real-world knowledge that will help them succeed in their comics career. 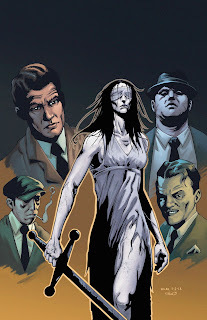 Additionally, the monthly Creators Workshop Book Club sessions feature guest writers and artists discussing the craft and art of comics, as well as the business side of things.